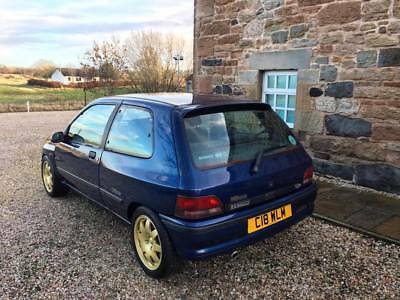 This is my immaculate Clio Williams 1. It is one of the original numbered cars with the brass plaque on the dash. It is completely original and standard and even comes with the very rare original rubber mats and headlight protectors. Further photos are available here:https://www.facebook.com/pg/outlandercustomvehicles/photos/?tab=album&album_id=2102618429762383 Also photos on my Outlander Custom Vehicles instagram page. 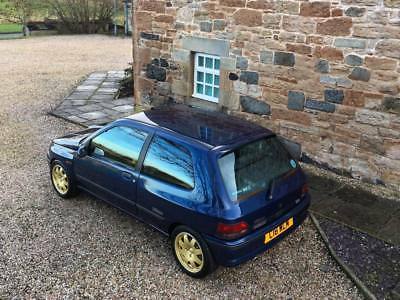 The Clio has covered 143k miles now, so is no stranger to being driven. However, it has always been maintained impeccably and is in great working order. 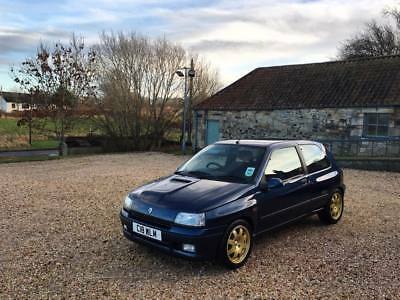 Approx 1500 miles ago, it was taken to Renault and they were instructed to make the car perfect. There is a photo of the receipt in the album linked to above, showing £2800 being spent to address every issue, no matter how big or small. I have just had a full service and wheel alignment carried out at a Renaultsport specialist. The car literally wants for nothing. 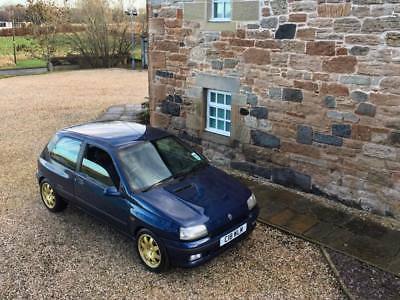 I am a lifelong Clio Williams fan and happily give the car anything it needs. 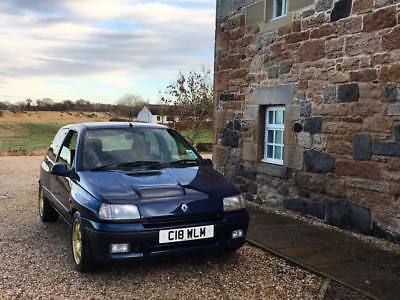 I restore and customise classic and prestige cars for a living and am used to spending far more on cars than a Clio Williams demands, so it is not skimped on. Anything that the car needs is cheerfully given to it. Cosmetically, the car is hard to fault. There is the odd mark and blemish here and there, but no dents scratches or rust. It is well polished and paint sealed and has a great shine. The wheels were refurbished by Renault and are in great condition, the right colour and with the polished lip. It has a new set of Toyo Proxes all round. The underside is fully sealed and totally solid. The interior is pretty much perfect. There is no wear to the seats or carpets. All plastics are in great order. This is a truly wonderful example of a very rare car. It is not the cheapest example, nor is it the most expensive. This Williams is probably better than 90% of the cars available. Obviously it is not a full restoration, or a 1 owner 9k miles car. It is a near perfect condition, driven and loved car. I use this car regularly and enjoy it. I wash it after every big drive and keep it in faultless condition. Please go and see the other cars available and then come and see this. the difference is clear to see when an owner really loves the car and every tiny detail has been attended to. Look at the stance of this car compared to others, the condition, the details. Have a look at my instagram page and get a feel for what I do. This is easily the best available at this price point. If you have any further queries, please contact me on 07471 947438. Thank you for looking.